Cleveland police were searching Saturday for suspects who opened fire on a group of teens, killing a 12-year-old boy and wounding five teenagers. 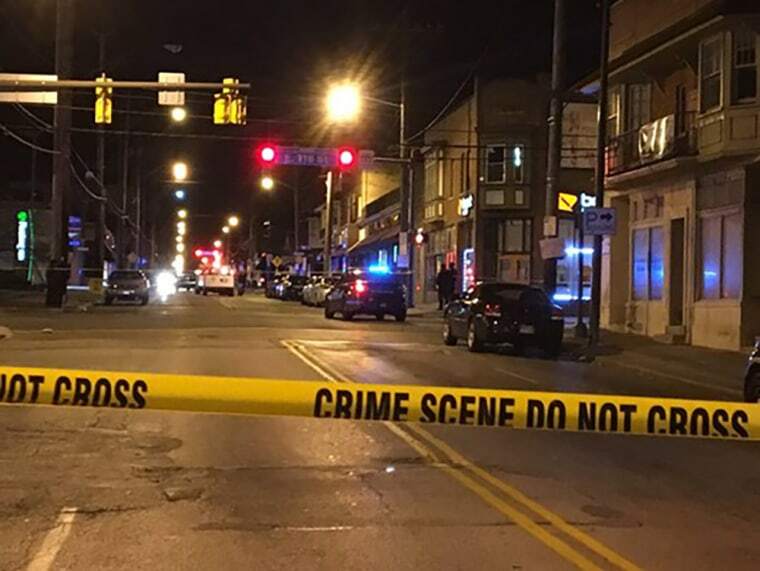 A preliminary investigation into the Friday night shooting indicated that three to four suspects opened fire on a group of teenagers shortly before 7:30 p.m., said Cleveland Police Chief Calvin Williams and the police department. At one point, a 40-year-old store owner and his 12-year-old son went outside to investigate the noise, and the boy was struck in the torso before the suspects fled on foot, police said. The pair retreated back inside and discovered the boy had been shot. He died at the scene, NBC affiliate WKYC reported. The station identified the boy as Abdel Latif Bashiti. The other children hit by the gunfire were ages 14 to 16. Williams said the suspects are believed to be juveniles as well. "We don't know exactly what spurred this or what happened, but you know, definitely our hearts go out to the family of the victims here," Williams said. "All we have are juveniles on foot. They fired shots and they took off running." One of the victims was shot in the head and was being treated at University Hospital, police said. The others suffered gunshot wounds to the groin, leg or torso. No arrests have been made in connection with the shooting, and Williams said there was no immediate indication the shooting was gang related. WKYC said the suspects were wearing either black- or dark-colored hoodies. Local activists planned to hold a vigil and a rally for peace Saturday night in the intersection where the shooting occurred. Cleveland Mayor Frank Jackson encouraged anyone with information about to call Crime Stoppers. "We know that as things happen out on the street there's a lot of conversation," he said. "We'd like to have as much information as we can get in order to find who did this." More than 135 people were killed in Ohio's second-largest city in 2016, making it Cleveland's deadliest year in a decade, WKYC reported. The city has topped 100 homicides so far in 2017. Jay Varela and Kurt Chirbas contributed.